In the fall of 2014 we began to ask one question to everyone we met, “Why Milbank?” And even before that, we were asking ourselves the very same question. Why are we here? What keeps us here? Do we even want to stay here? We found one very important theme in every interview we conducted. The answer to our question is very simple. Why Milbank? Milbank of the past and the present is a great community because of the extraordinary people. 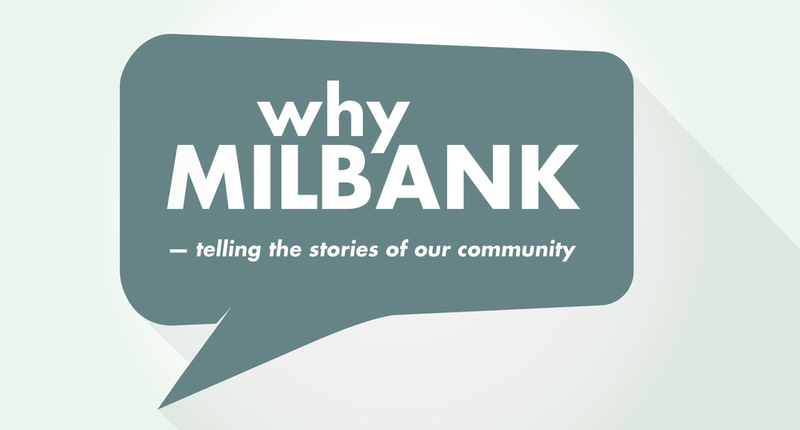 Why Milbank was created to tell stories, stories that have shaped this community and continue to shape it for the future. The documentary that was presented in the spring of 2015 was only the beginning. There are more stories that need to be told and we intend to tell those stories. Do you know a story that needs to be told, contact us here. Milbank photographer Craig Weinberg began working with the Milbank High School art program a few years ago to help the students advance their photography skills. Through his volunteer work with art teacher Nancy Pauli they decided to take his contribution to the art program to the next level. Starting in August of 2014, MHS senior Tanner Hackwith has been enrolled in an independent art class that has allowed him to work one-on-one with Weinberg on a documentary film project titled, Why Milbank. With video cameras and microphones in hand, Weinberg and Hackwith have been seen throughout the area asking the question Why Milbank to create the documentary. Over the past nine months, the documentary has evolved into a project that will exceed the ten months that school is in session. The two filmmakers have discovered that their are so many more stories to be told that cannot be contained in a 45 minute documentary. Through the process Weinberg has also realized the importance of sharing his knowledge of filmmaking and photography with more students in the future. He would like to expand the Why Milbank project to include more aspects of the design process for other students to gain real life experience before they make a decision on their future career path. The future of the Why Milbank project will grow and evolve over time, however, the intent is to continue to tell the amazing stories of the Milbank area, past and present and to involve students in all levels of the creative process through photography, film and print. The project is being sponsored through the Whetstone Arts Council non-profit organization. Funding for the project will be raised through contributions. The contributions will help with the purchase of equipment for the students to utilize so that they can experience the design process from start to finish and costs associated with the production of the project.